Dr. Elizabeth “Liz” Thach, MW is the Distinguished Professor of Wine and a Professor of Management at Sonoma State University in Rohnert Park, California. Her areas of expertise include Wine Business Strategy, Human Resource Management, and Leadership Development. She started teaching as a full-time professor at SSU in the Fall of 2000. In addition to teaching, she currently conducts research and does consulting with multiple wineries and other local businesses. Prior to coming to SSU, she worked more than 10 years as an HR manager and executive in Fortune 100 companies. In May of 2011 she was awarded the title of Master of Wine from the Institute of Masters of Wine in London, making her the first female MW on the West Coast and the 7th woman in the US to achieve this honor. Liz’s passion is wine, and she has visited most of the major wine regions of the world and more than 37 countries. Liz holds a doctorate in Human Resource Development from Texas A&M University, an M.A. in Organizational Communication and Management from Texas Tech University, and a B.A. in English from Notre Dame de Namur University in Belmont, CA. In addition, she is an award winning author who has published over 120 articles and 6 wine books, including Call of the Vine, Wine – A Global Business and Wine Marketing & Sales. She is an active member in community organizations, and has held positions with the Board of Directors for Women for Wine Sense, Petaluma Gap WineGrowers Alliance, PASCO and many others. She is on the Editorial boards for International Journal of Wine Business Research and Wine Economics & Policy. In addition, Liz serves as a professional wine judge at many prestigious wine judging competitions. In terms of honors, Liz was awarded a Fulbright Specialist Scholarship to teach wine business in Argentina, was a recipient of the Korbel Professorship for research, received the Andre Crispin Commanderie de Bordeaux Scholarship to travel to France, and was the winner of the Reh Kendermann Bursary that involved a trip to German wine regions. 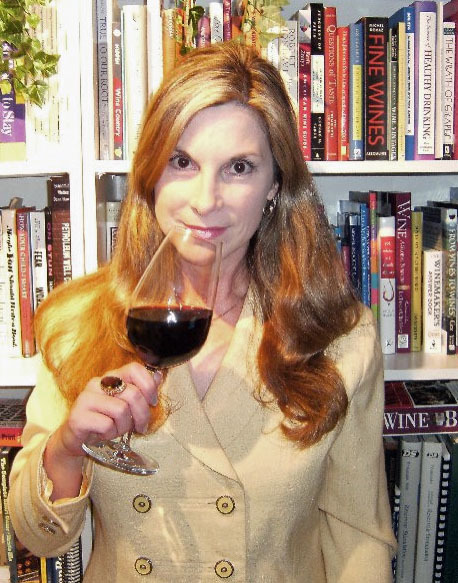 She has also received three teaching awards, and several writing honors including Best Wine Marketing Book in the World from Gourmand World. The National Women for Winesense organization recognized her with a Rising Star Award for at least 12 years of excellent service and contribution in the wine industry, and she received Resolution No. 422 from the California Legislature for being the first woman in California to become a Master of Wine. Liz is married with one daughter. She lives on Sonoma Mountain where she spends her free time hiking, reading, bird-watching, and tending a hobby vineyard from which she makes pinot noir and sauvignon blanc wine. She and her husband also enjoy golfing, travel, and cooking together, as well as having friends over for wine-tastings and barbeques.